Over 20 Uyghurs and 13 Chinese officials and police officers were killed during an incident on Monday morning in Yarkant county in the Kashgar prefecture of China's Xinjiang Uyghur autonomous region, reports our Chinese-language sister newspaper Want Daily. According to Chinese media reports the incident began when 30 Uyghurs impeded an investigation by police officers into "a potential terrorist attack." The resistance soon turned into a massive riot, in which five government buildings and 31 cars were attacked or destroyed. When around a hundred police officers rushed to the area to contain the riot, they encountered 30 knife-wielding men, which they tried to run over with their cars. Several of the men were reportedly shot dead by police at the scene while others fled to nearby villages. Around 300 people from the villages are then reported to have put up armed resistance to the police, resulting in dozens of civilian injuries and deaths. A day after dozens of people were killed in clashes in China's restive Xinjiang region, the Uighur World Congress' Alim Seytoff tells DW Beijing's account of events intends to depict peaceful protesters as "terrorists." "According to local Uighurs, heavily-armed Chinese security forces opened fire and killed and wounded nearly 100 Uighurs after hundreds of them protested en masse against China's heavy-handed Ramadan crackdown for the past month and the extrajudicial killing of a Uighur family in Yarkant County in early July. Since Xi Jinping became president, Chinese security forces have been given the order to shoot and kill Uighur protestors with impunity. As a result, the Uighurs have been witnessing more and more killings and even massacres." The murder of a state-backed imam in China's Xinjiang region underscores an escalation in 18 months of violence and could be part of a bid by extremists to persuade moderate Muslim Uighurs to turn against Beijing's controlled current of Islam. Jume Tahir, the imam at China's largest mosque, Id Kah, in the Silk Road city of Kashgar, was killed on Wednesday by three suspected Islamist militants armed with knives. His predecessor narrowly survived a knife attack in the same spot in 1996. "Part of the motivation is not simply to remove and put pressure on the state-backed officials, but also to make an impact on those who attend these mosques, the stability minded Uighurs," said Michael Clarke of Australia's Griffith University. "In a sense, it is attempting to signal that this is a conflict that is now society wide. You have to now choose sides." Nine terror suspects were killed and one was captured in Hotan prefecture, Northwest China's Xinjiang Uyghur Autonomous Region on Friday with the help of more than 30,000 volunteers, police said. Local police began a search Friday of a suspected terrorist group identified on July 27 according to clues provided by over 70 local residents, the Xinhua News Agency reported. The suspects were spotted by local residents in a corn field in Moyu county at around 12:15 pm on Friday. More than 30,000 residents joined the police search team upon hearing of the move, and cordoned the suspects in an abandoned house. 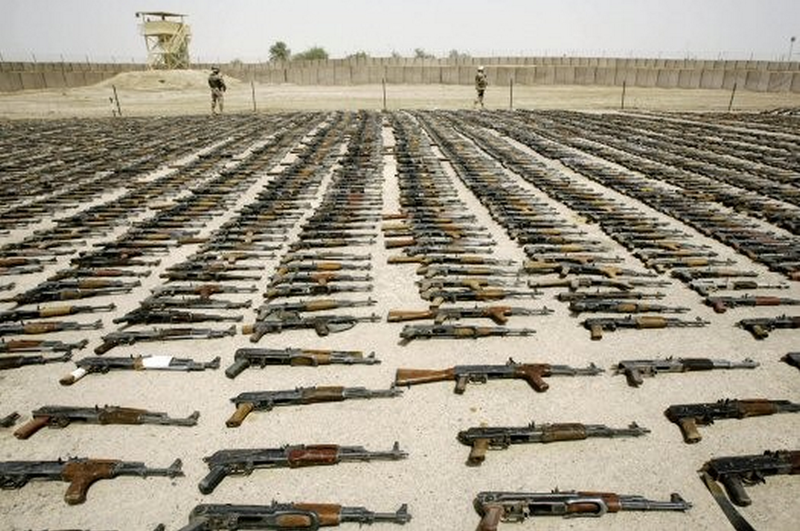 A government oversight agency says the Pentagon has lost track of more than 40 percent of the $626 million in firearms it has provided to Afghanistan’s security forces, prompting officials to contemplate a “carrot and stick” approach to arming the fledgling military. Although the oversight agency cannot say at this point whether any of the arms have made their way into neighboring countries such as Pakistan, the flawed tracking methods are fostering fears that militants could gain control of Pentagon-supplied weapons. Visiting Russian Foreign Minister Sergei Lavrov says Tajikistan is welcome to join the Eurasian Economic Union of Russia, Belarus, and Kazakhstan that comes into being in January. Lavrov, speaking after talks with Tajik counterpart Sirojiddin Aslov in Dushanbe on July 30, also expressed thanks to Tajikistan for its implementation of the Russian-Tajik agreement on keeping Russian troops at military bases in Tajikistan. “Gen. [Lloyd] Austin has no knowledge of any plans for a possible US base in Uzbekistan. He did not discuss any such options with the Uzbeks during his trip,” CENTCOM spokesman Army Maj. Brian Fickel stressed. Earlier a number of media reports suggested that the commander of the US Central Command, Gen. Austin during his recent visit to Uzbekistan discussed with the leadership of the country a possibility to deploy a US contingent in the Uzbek city of Termez. The worst clashes in years over the disputed Armenian enclave of Nagorno-Karabakh in Azerbaijan have left 15 soldiers dead in recent days. 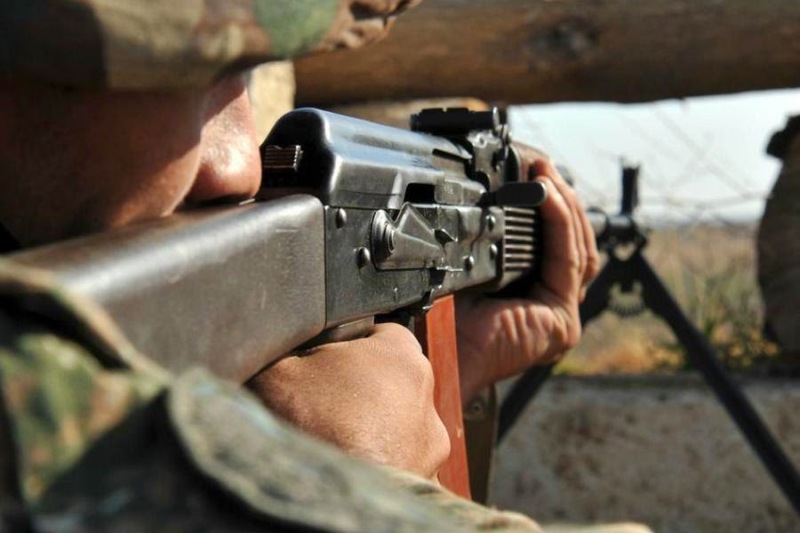 Azerbaijan says 12 of its troops were killed in the past four days while the enclave's ethnic Armenian authorities say three of their soldiers died. Armenia says the presidents of the two countries are to meet next week to try to calm the situation. Just as Armenia was digesting the news that its ally, Russia, was offering a large batch of top-of-the-line tanks to its foe, Azerbaijan, it's emerged that there are other such deals in the works, as well. APA reported that Russia will shortly deliver another batch of TOS-1A “Solntsepyok”multiple-launch rocket systems to Azerbaijan. The deal to buy those systems was announced last year, but at the time it was reported that it would be for six; now the number has grown to 18. Naturally Armenia, not having any navy, will not be threatened by the anti-ship missiles. But the Solntsepyoks, on top of the earlier offer of 100 T-90 tanks, is rankling in Yerevan. “I can’t be happy with that but I have no right to stop it,” said Armenian Defense Minister Seyran Ohanian, reported RFE/RL. Human rights activist Leyla Yunusova and her husband Arif Yunusov are accused of secret collaboration with some citizens to coordinate with representatives of Armenian special services, according to the joint information disseminated by the Azerbaijani Prosecutor General's Office and the Ministry of National Security. 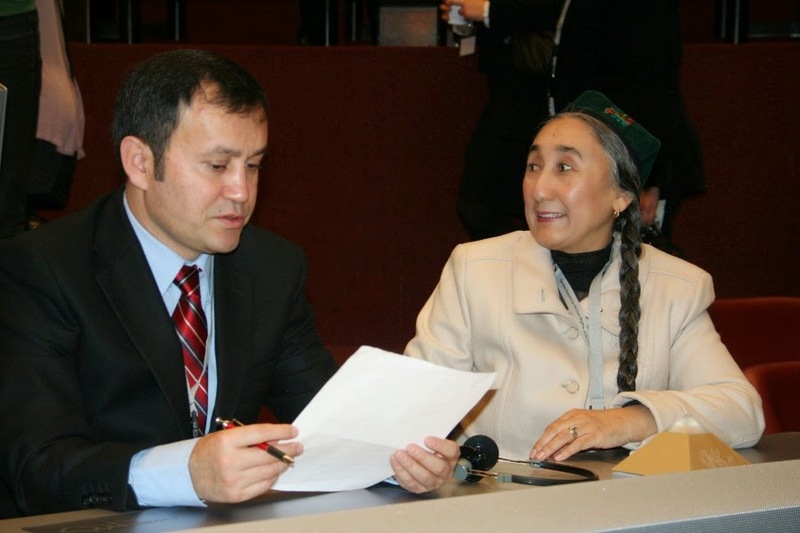 Leyla Yunusova wrote false information in the official registration documents of the NGO "Azerbaijani women for peace and democracy in the Caucasus" on November 21, 2002, which passed the state registration on March 27, 1996. She wrote that she was allegedly the director of the NGO and was entitled to conduct banking transactions with the account of the organization in "Unibank", according to the report. She received checkbooks from "Unibank" in accordance with the forged documents. These checkbooks are accounting documents. A total of 167,199 manat, $620,878,263,745 euros were transferred to this NGO from such donor organizations as the National Endowment for Democracy (NED), the German Marshall Fund and others from 2006 to 2014. These funds were illegally cashed, according to the report.